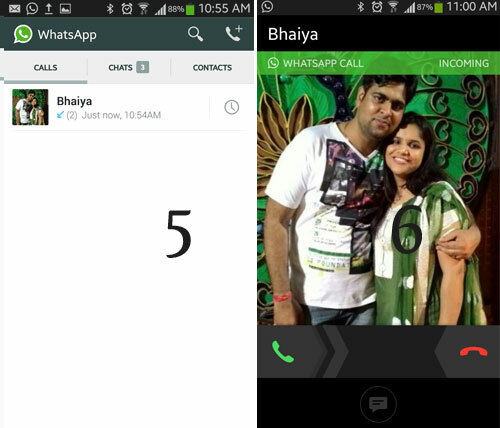 Whatsapp finally launched Whatsapp Calling feature in his app. Update your Whatsapp and enjoy the calling feature. Now you can enjoy calling with whatsapp all over the world. Calling is internet based so you need a better internet packs and faster speed. We have used the calling feature and found that its the best among other calling apps. Clear, no disturbance at all and very good interface to pick the call (Checkout the 6th image). It wont consume your money if you have enabled internet pack on you number. Here is the images which will show you the new UI and calling feature. 1. 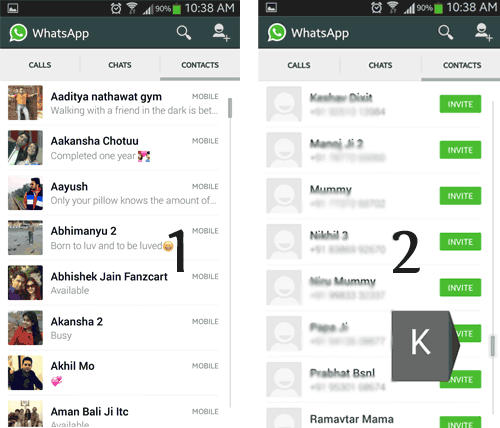 You can see now android is having tabbed interface and first tab is for “Whatsapp Calling” First image showing the list of contacts and 2 image showing those no. who’s not using the whatsapp. 2. 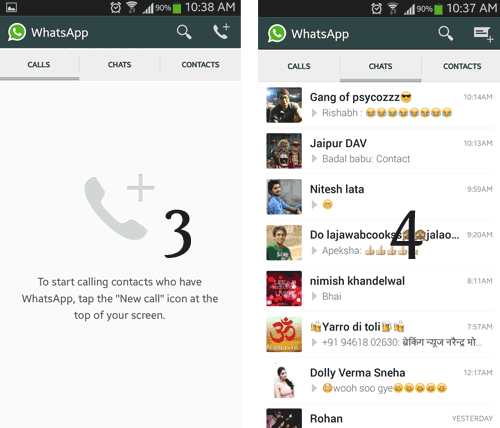 3rd Image is showing the Whatsapp Calling page and 4th showing the old chat page. There is no any update in chatting feature. 3. 5th image is showing the calling history which shows you the calls made by you. 6th Image is showing the call receive window. Update is rolled out in India and you can enjoy the calling.